Now that my finals and my chapter at Cornell have come to a close, I have the chance to post some power meals in the making from this past week. Inspired by the Moosewood cookbook my mom gave me, I want to make some that would be both fresh and ready for summer. On my kale kick from the Kale Caesar Salad, I decided to indulge in a roasted vegetable flatbread, a perfect transition to warmer weather. 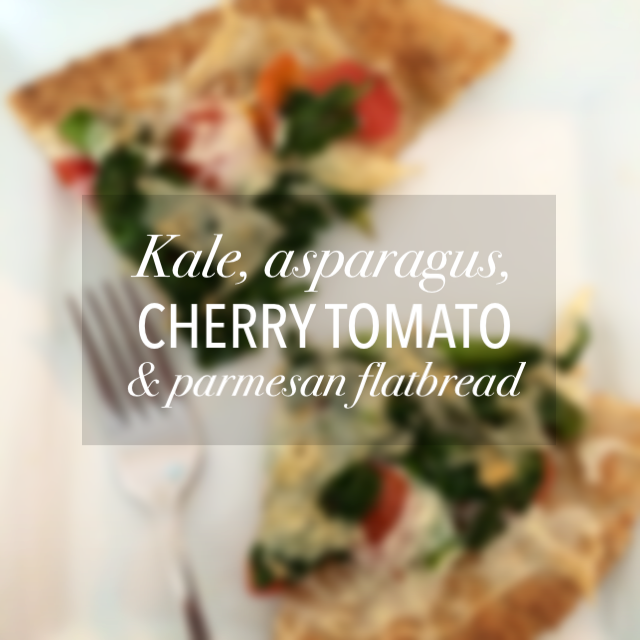 Here’s the Kale, Asparagus & Cherry Tomato Flatbread.